Adobe provides a lot of hidden gems with what they offer. Many of them are not as easy to find as they should be. Throughout the years, Adobe has made a big impact on the digital world. As the creators of Photoshop, they have enjoyed being the one company that every other digital photo manipulation software company aspires to. 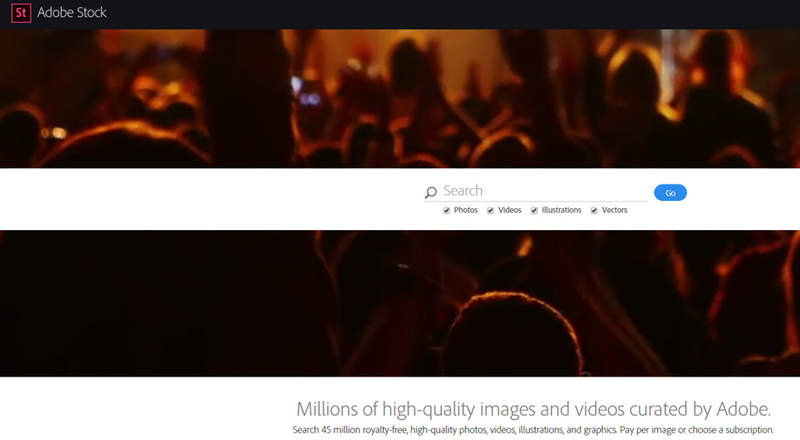 Last year, Adobe launched their Adobe Stock offering, try Adobe stock now. For those of us who knew what was going on, it came as no surprise. For the rest the world, it came as a shocker. You see, before this time, Adobe was not a part of the world of stock photos. For the longest time, Adobe had nothing to do with the Big Six. The Big Six is a nickname that was used for the six biggest companies in the stock photo agency industry – namely, iStock, Dreamstime, Shutterstock, Fotolia, StockFresh and BigStock. Adobe was nowhere to be found. Technically, Adobe is still not part of the Big Six. However, they made a shrewd move which makes them part of the Big Six. In December 2014, Adobe paid Fotolia $800 million in cash and bought the agency. If you compare Fotolia’s library to Adobe’s library, you find that they are identical. You’ll also find that Adobe will direct you to Fotolia’s website if you wish to contribute to the library. The only indication on Fotolia’s website that has any connection to Adobe is a little red Adobe logo on the upper left corner of Fotolia’s home page. Fotolia has been allowed to exist as its own, separate business entity since the merger. When you look at some of these bigger stock websites, you’ll find that you’ll need pay between $10 and $15 per photo for an on-demand service. You could get them cheaper – if you subscribe with one of their larger packages. However, many people don’t have hundreds of dollars to spend every single month on stock photos. Furthermore, they don’t need 750 stock images per month, either. In the world of expensive photos, “free” is a relief. Yet that is exactly what Adobe is offering. 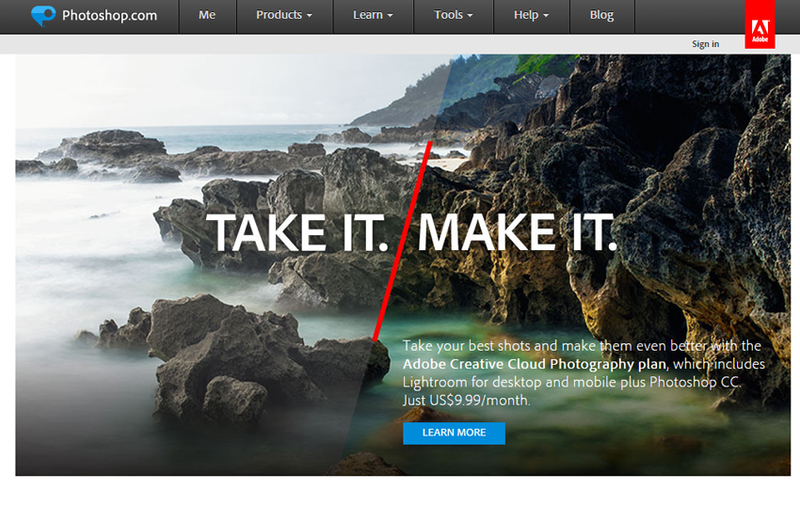 Previous to launching Adobe Stock, Adobe had the Creative Cloud. The Creative Cloud is how Adobe turned their products into services. Now, if you wish to have access to their lineup of software titles, including Adobe Stock, you’ll need to create a Creative Cloud account. Do you remember how I said that there’re more hidden gems to Adobe than meets the eye? Here’s one of them. It used to be that Photoshop would cost anyone around $1000 to purchase. That gave the purchaser unlimited free use of that one version. It didn’t include updates or upgrades to newer versions. That all changed with the Creative Cloud. Now you can get access to Photoshop for much, much cheaper. In fact, you can get Photoshop for free. Here’s how to do it. You may notice that Adobe Stock wants you to sign up for 10 images per month for $49.99. That comes out to about $10 per image, making 10 free images worth about $100. Here’s the kicker. When you add software to your Adobe Creative Cloud subscription, you’ll notice that Photoshop will cost you about $20 per month. However, when you pair that with Adobe Stock – the $49.99 package – that same package drops to $29.99. It goes straight from $50 at $30 – a difference of $20. In other words, you can be paying $50 for Adobe Stock by itself or you can be paying $50 for Adobe Stock and Photoshop. That makes Photoshop legally free, straight from the company. This deal doesn’t just apply to Photoshop. It applies to any one of their software offerings. Simply add one of their software titles to your Adobe Stock subscription and enjoy your discount. The best advantage of using Adobe Stock doesn’t stop with the discount. Here’s yet another hidden gem and a major advantage of using Adobe Stock with Photoshop. In the past, when you used Photoshop, you had to import your photos. It could be a photo you took yourself with your camera, or could be a photo that you purchased from another stock photo agency. More likely than not, more people imported photos from another stock photo agency. This meant that they had to go to their stock photo website, search for a photo, purchase it, license it, download it and then import it directly into Photoshop. The entire process could take you 10 to 15 minutes for just one photo. So what’s the difference? When you use Photoshop with Adobe Stock, you can go through that entire process in less than half the time. Adobe Stock has been integrated into every single one of the software titles that Adobe offers. That means that you don’t have to leave the program to search for your photo. You have access to the entire library right there within the program. Furthermore, when you choose your photo, it automatically gets imported into your program. You don’t need to save it to your computer, figure out where you saved it, and then import it. Everything has been streamlined, thanks to Adobe.